Each year, we see more and more video games with female protagonists. Some are badass, some are not. 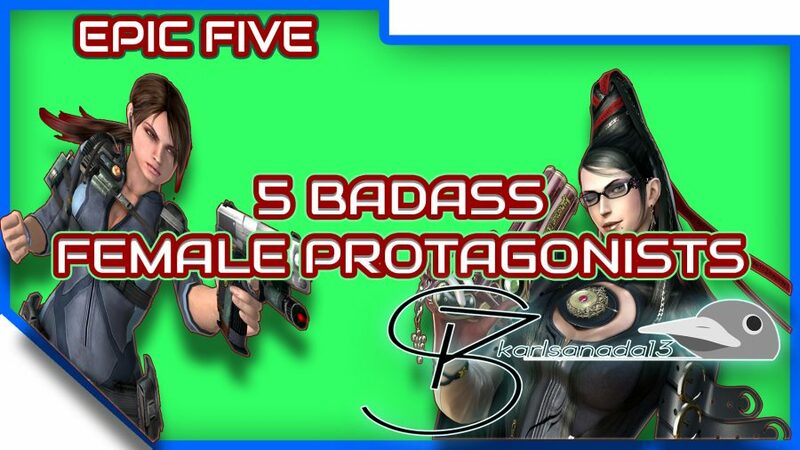 We gather 5 of the amazingly badass female protagonists in video games. Most games usually have a male protagonist. It is a very common practice, however, we’ve also seen several games with female protagonists. Has to be the main character, and not a side kick. Portal 2 is the only Portal game I have played, and I was genuinely shock t learn that the character I am using is a female. Her portal gun alone makes her badass. fought a rogue AI twice. As long as you can parkour (well), then you are a badass in my book. Can defend herself pretty well if cornered. Lara Croft pioneered the female badass protagonists category. Oh, Bayonetta. If you can fend off heaven and hell armies, then you are ultimate level badass! Her hair is her clothes. Fights demons and angels, and absolutely destroys them. Can shoot from her feet. What can I say? Poor innocent girl. These are some of the badass female protagonists in video games. Do you have any suggestion? Let us know and we will feature them on a new video about this one soon! The Witcher 3 System Requirements Revealed.